Quilting Adventures: Quilting Recap of 2010 ......Part 1! 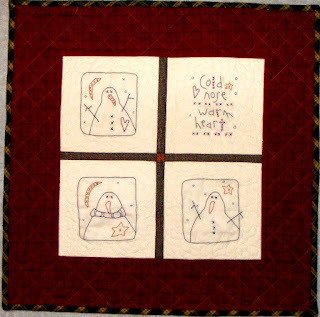 Quilting Recap of 2010 ......Part 1! I have mentioned that I had been a stitchin' fool in 2010 and it does not appear to be letting up! lol I have lots of new hand embroidery projects that I want to share with you, but first, allow me to catch up with 2010. 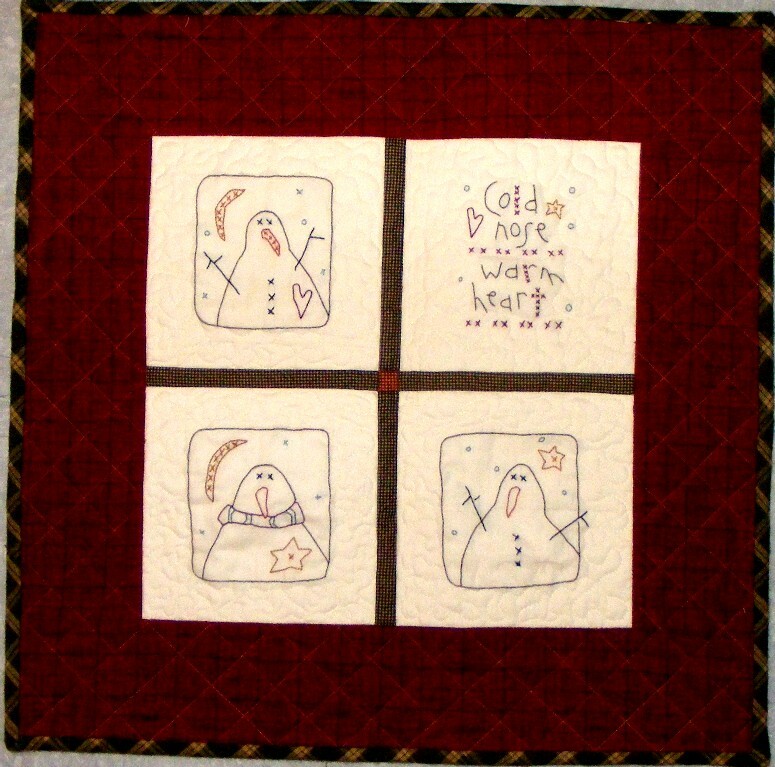 This cute little quilt is from a pattern designed by Stacy West of Buttermilk Basin called Cold Nose Warm Heart. I made this quilt for a Secret Santa swap! I belong to a primitive Folk Art group and we had a gift exchange! I used some homespuns for the border and binding. It had been a while since I played with homespuns! Thanks for stopping by! Wishing you a wonderful day! Cheers! That's adorable! And don't feel bad -- I don't have a shop and I still can't get to the stuff in my stash either! Thanks for your comments on my blog! I wish I had more time to my sewing machine, your little quilt is wonderful! Queenlands Flood Appeal Auction..... please! Is there anybody out there..........?